Designed, engineered and heavily tested in Australia, TJM has been working hard to create the Signature Bar for the Isuzu D-Max 2017+. The unique design of the Bar is identifiable thanks to its striking loop configuration that adds aesthetic value and increases strength, while also maximising airflow to the vehicle's cooling system to prevent overheating. Other premium features include LED indicators, LED park and fog lights, stylish bumperettes, two aerial tabs, a winch rated to 95000lbs, 8000kg rated recovery points and it is airbag compatible. 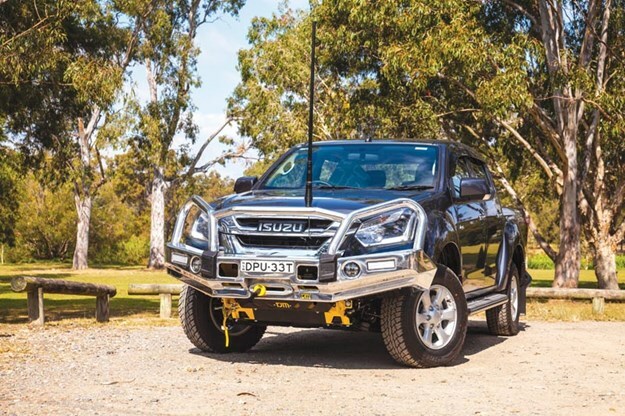 Able to be fitted in just four hours, the TJM Signature Bar is a lightweight and strong accessory that will ensure your Isuzu D-Max is a strong performer out on the road.